So, we've seen drones deliver Amazon goodies, beer and, yes, missiles. But this is by far the most compelling every-day use of drones I have yet to see: filming insane footage for viral videos. Drones are so nimbly controlled and can go where us humans can't get to easily, which makes them the perfect vehicle for capturing breathtaking images, especially action shots. 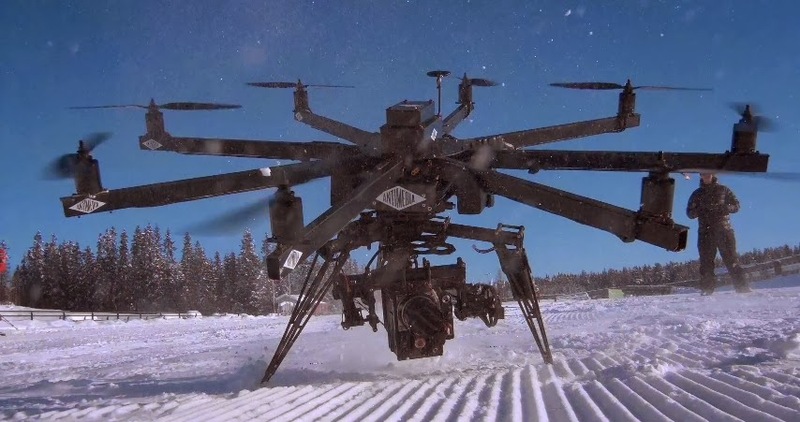 Sure, they still have to deal with FCC and FAA regulators with respect to airspace and privacy, but if you're using them on a set or with a permit for specific filming, then these open the door to a whole new approach to filming adventure sports and movies. Find out more at Antimedia.